These are the perfect live bands for corporate events, weddings & parties in the Shropshire area .... in fact any event where you want to dance all night to rock and pop hits from across the decades! 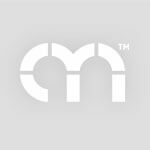 Find the best local function bands in Shropshire only at Alive Network, the UK's biggest music agency. Retrospect are an energetic, four-piece party band that will go down a storm at your event! Covering everything Rock, Pop & Indie from The Beatles to The Killers, these guys have bags of talent & a wealth of experience rocking events across the UK! Keeping everyone on the dance floor, The Frames perform oldies from the 50s to the very latest hits! Complete with their own dedicated DJ & professional sound engineer, The Frames know how to make your special event one to remember! Want help finding your perfect Shropshire function band? If you would like assistance finding the perfect live band for your event in Shropshire, simply give us a call or submit the quick enquiry form below and one of our talented entertainment coordinators will be happy to assist. With an amazing sound, stage presence & an exciting repertoire spanning 6 decades, Sub-Zero will throw you a party to remember! From Stevie Wonder to The Killers, after seeing Sub-Zero's stunning live show, your guests won't want to go home! 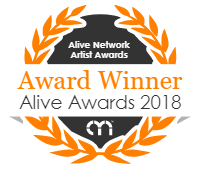 Alive Network are Shropshire's largest live music and function band agents and one of the leading live entertainment agencies in the UK. We specialise in providing Shropshire's best function bands, musicians, DJs and entertainers for events across Shropshire.